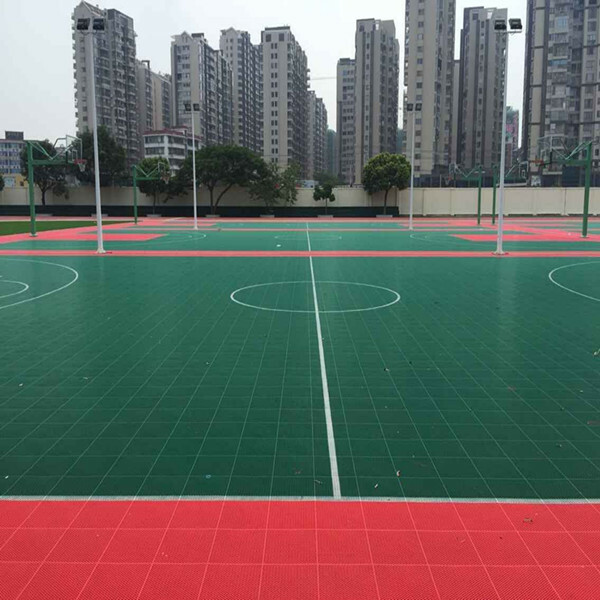 Our flooring can be used in different kinds of indoor and outdoor sports courts, including basketball court,badminton court,tennis court,table tennis court,volleyball court,roller skating court,futsal court and kids play area,etc. Warranty:	 Free replacement within 6 years guarantee period,over 20 years service life. 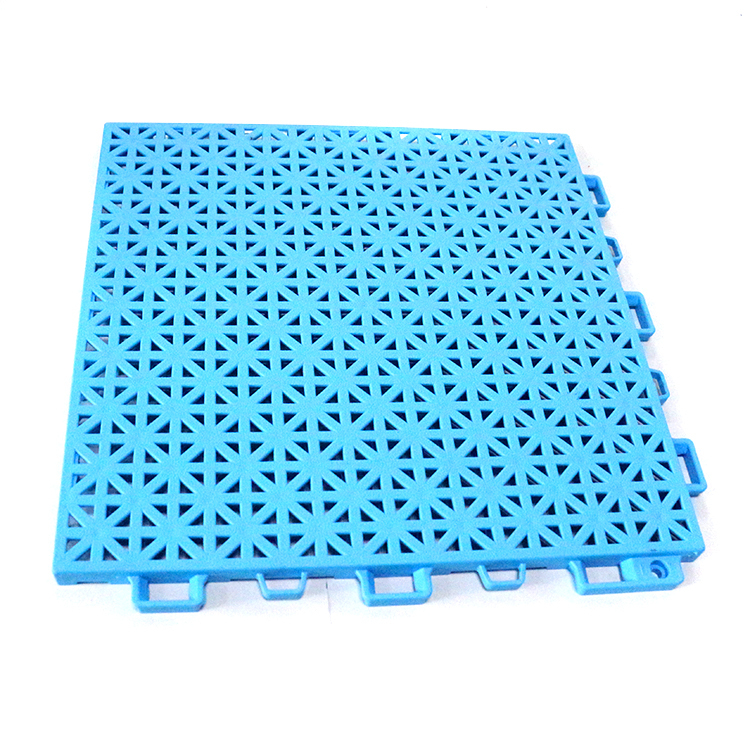 Application:	 Indoor and outdoor use,including kindergarten court,basketball court,football courts,etc. 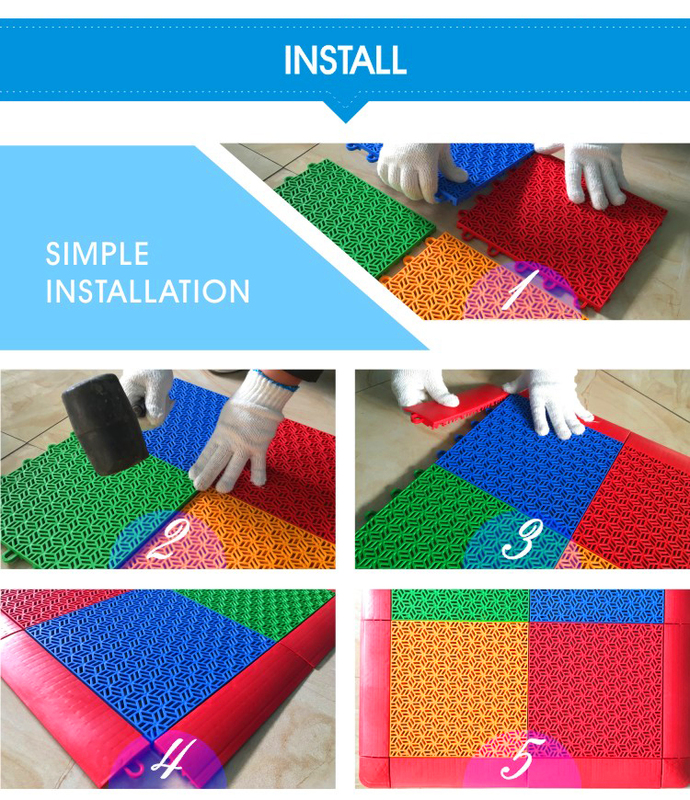 Our flooring are easily installed and cleaned ,and the more important thing is the materials are eco-friendly with a warranty period of at least ten years. 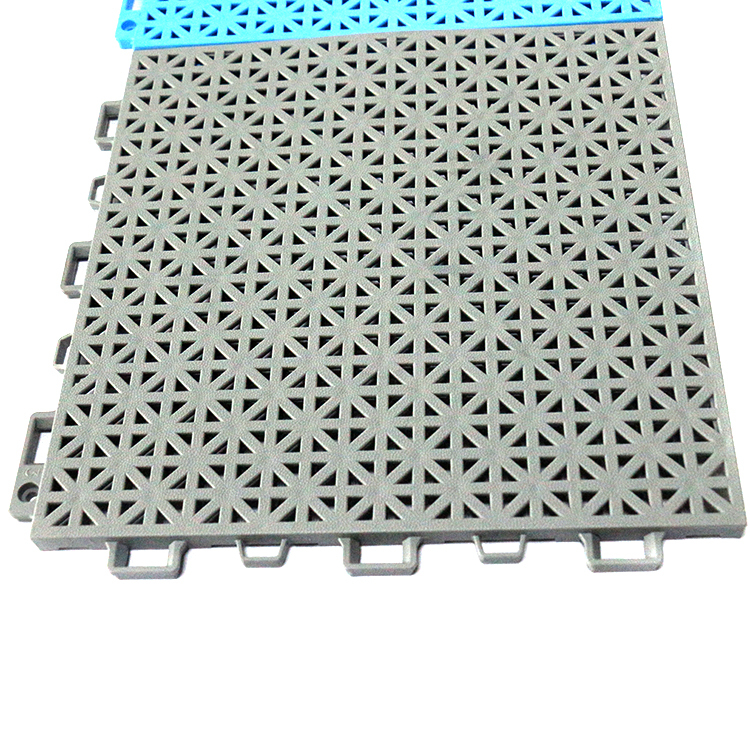 Up to now,our company has five patents for these products and three management systems in place, ,and passed tests conducted by EU CE,SGS,BV,RoHS,and REACH etc. As a famous sports flooring company,we can offer you the best products and excellent service,and our distributors spread over 300 cities in China with good reputation among premium customers. Our goal is provide customer fashion and comfortable use feeling products in our continuous innovation design. 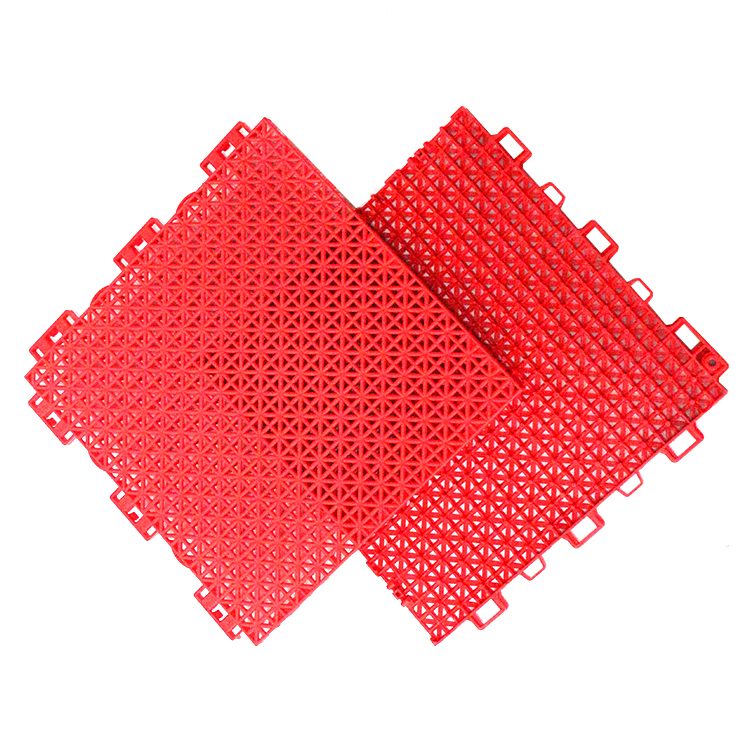 Looking for ideal Futsal Court Interlocking Flooring Manufacturer & supplier ? We have a wide selection at great prices to help you get creative. 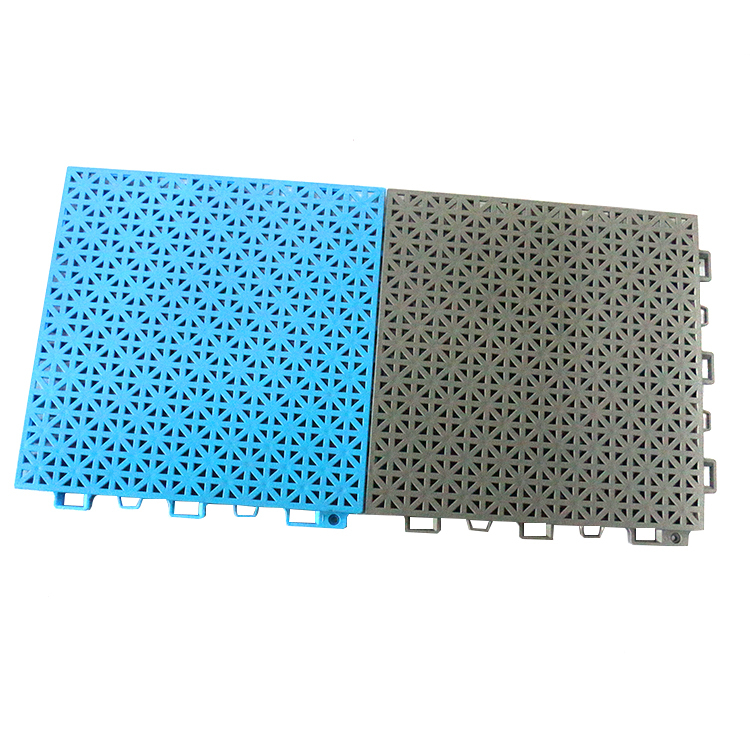 All the Portable Modular Floor are quality guaranteed. 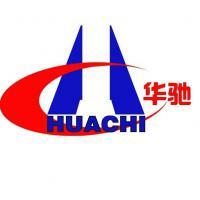 We are China Origin Factory of Interlocking Sports Carpet Tile. If you have any question, please feel free to contact us.